Here's a fun piece! 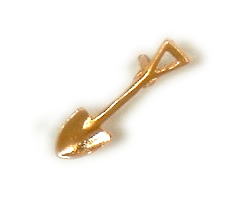 This is a 1/2" shovel lapel pin in a bright gold color. Perfect for your local undertaker or gravedigger!